Respawn made it easier to play with people you don’t know. In most games, it’s extremely difficult to be a solo player trying to win with random teammates—but Apex Legends isn’t like most games. Most players would much rather play with a full party of friends over people they don’t know, but that isn’t always possible. 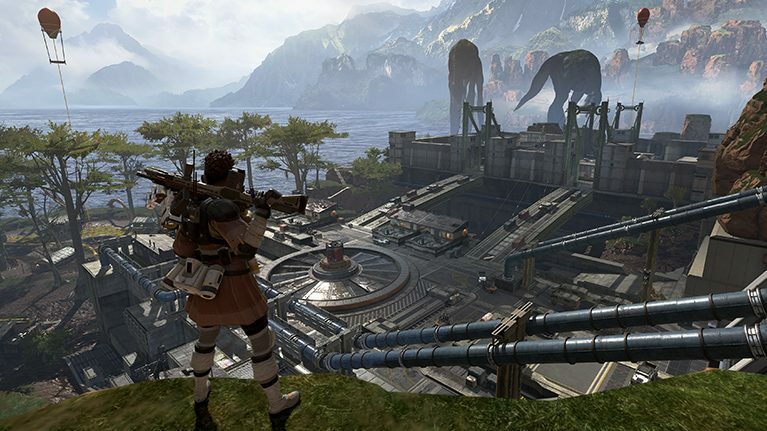 Respawn Entertainment’s new smash-hit battle royale title has made it much easier to play with random teammates, though. Here’s what you can do to maximize your potential of winning an Apex game while playing with random teammates. Respawn has an intricate ping system in Apex that’s great for communicating with your teammates, even if none of you have a mic. You can tap the ping button once to target an area or items, while hitting the ping button twice will allow you to call out an enemy you’ve spotted. Take full advantage of this ping system in all games, but especially when playing with random teammates. They might not be able to hear you, but there’s almost no way they could miss constant pings on their mini-map. Apex is a very team-oriented game, so you want to make sure your teammates are set up for success. If you have two great guns already and notice that your teammate is running around with a Mozambique, for example, ping a different weapon for them when you see one. The same goes for armor, helmets, healing items, and utility—if you have a good inventory, but you realize that your random teammate doesn’t even have armor equipped, help them out. You’ll put yourself at even more of a disadvantage if you’re in the final fight and your teammates don’t have any good items or weapons. 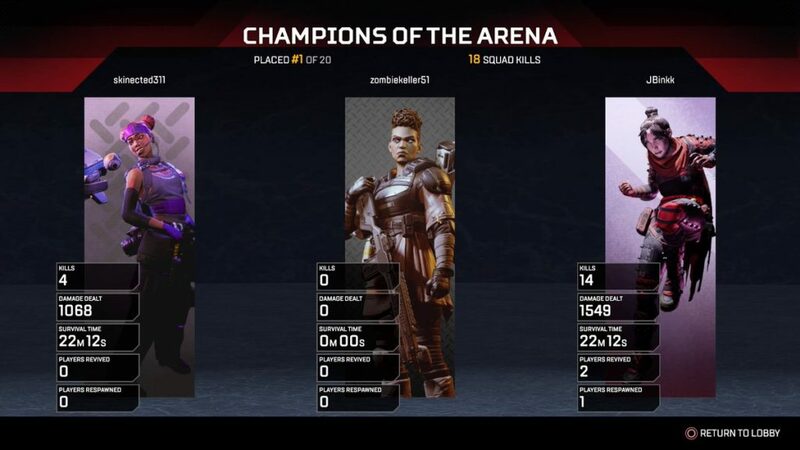 Even if you’re one of the best players in the world, it’s difficult to win a game of Apex by yourself. You could have the worst teammates, but they’re still better than no teammates at all. Keeping this in mind, remember not to be completely selfish when playing with random teammates. If one of your teammates gets downed, at least make an effort to revive them. You’ll always be in a better position to win if you go into the final fight with two teammates instead of none. If one of your teammates dies, at least attempt to pick up their tag and try to bring them back to life. In some situations, this might not be possible—their tag could be surrounded by a full team or there might not be any Respawn Beacons inside the ring. But if you’re right next to your teammate’s death box, don’t be selfish—pick up their banner and try to revive them. Good karma is better than no karma at all. It’s important to focus on the things that you can control. You can’t control what Legends your teammates pick or their gun skill—but you can control the type of teammate you are. When you’re playing with random teammates, there’s always a chance you could be paired with a complete noob. Don’t let this discourage you, though. It might be frustrating, but do everything in your power to help them learn the game and succeed. And it’s a great feeling to carry someone to their first Apex win.